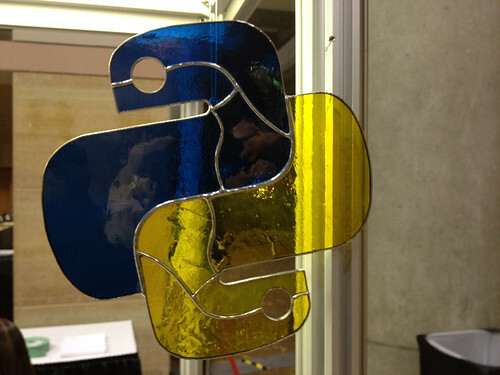 I had a hard time deciding which image to use for this, my first full day of tutorials at PyCon 2012. I had a few decent shots of the exterior of the conference center, of a big banner with the conference logo, of palm trees lit up at night... But this is, to me, what PyCon is all about--discovering that someone has done something unexpected, creative, and beautiful.